Before & After - Actual patient, results may vary. A liposuction procedure can provide life-changing results. While some patients do their homework and have a clear understanding of the procedure, other patients are more focused on the end result and don’t think to ask important questions prior to surgery. Dr. Melanie Carreon with LCS Medical Spa in Seguin, Texas has put together a list of top ten questions that patients have asked about their upcoming liposuction procedures. So if you are looking for a liposuction doctor serving the Seguin, Austin, Houston, and San Antonio areas and are seriously considering this popular cosmetic surgery, knowing the answers to these questions can help you get the best possible outcome during both the procedure and the recovery. What are their Liposuction experience using local anesthesia? The last thing you want to remember as you’re being given local anesthesia is whether or not you asked your doctor about their years of experience. Find out well in advance if they concentrate solely on liposuction surgeries and how often do they perform liposuction procedures. Do they have the right experience? How many liposuction procedures have they performed? Do they use a variety of techniques? What about before and after photos of actual patients? During your consultation, an open and transparent Physician can provide you with more confidence as you get to know their background and experience. What does a lipo procedure consist of? It’s a simple question, but one that your surgeon should take the time to discuss in detail with you. You want to have a clear understanding of the procedure you’re about to undergo so you can better prepare both physically and mentally. It’s important to understand their technique, where the incision will be placed, how the fat is actually removed, and what to expect during and after. Liposuction is more than just removing fat cells, it takes a certain craft to attain a slimmer, smoother, symmetric outcome. What is your level of knowledge on this procedure? Your surgeon may have a ton of experience in a lot of different procedures, but what about liposuction, specifically? There are liposuction surgeons throughout the Texas regions of San Antonio, Austin, Houston, New Braunfels, and of course, Seguin. But what sets them apart from each other? Find out how many liposuctions the surgeon has performed and how often the procedures are done. You want to make sure the surgeon you selected to perform your procedure has extensive knowledge and experience in liposuction cases of varying complexity. This is not only for peace of mind, but also to ensure the Physician can provide you with the results you expect. Any good surgeon will have many before and after photos to share with patients. This not only gives you a better idea of how your body will look after liposuction, but it also gives you a chance to see the surgeon’s work prior to having your procedure done. Examine the photos closely and use this time to ask the surgeon any questions you may have about the procedure. How long is the surgery and recovery time? This is a very good question to ask ahead of time to get a better understanding of the procedure and what all is involved with your recovery. The surgery time is dependent upon multiple factors and the recovery will vary by individual. The amount of liposuction necessary (fat removed), along with the number of areas being treated will impact the duration of the procedure. Recovery time can also vary greatly among patients depending on these same factors and the health of the patient. Plan accordingly so your number one focus can be recovering in order to get the most out of your procedure. Immediately following the surgery you can expect to have some bruising and swelling in the areas that were treated. Your doctor should provide a compression garment to help reduce the swelling. It’s imperative that you follow your surgeon’s instructions in order to expedite the healing process and avoid any injuries or infections. While your surgeon dictates the outcome of the surgery, your recovery is what you make of it. How will my body look after the surgery? This is a very important question to ask in order to set expectations. While liposuction is performed to remove unwanted fat, it will not remove every ounce of fat from your body. You can expect your body to have some bruising and swelling immediately after the surgery and these side effects can last for several days to weeks. Once the swelling goes down, you’ll be able to enjoy the results from the procedure. Do you recommend any procedures in addition to lipo? Some patients may need additional procedures in order to get the results they’re looking for. 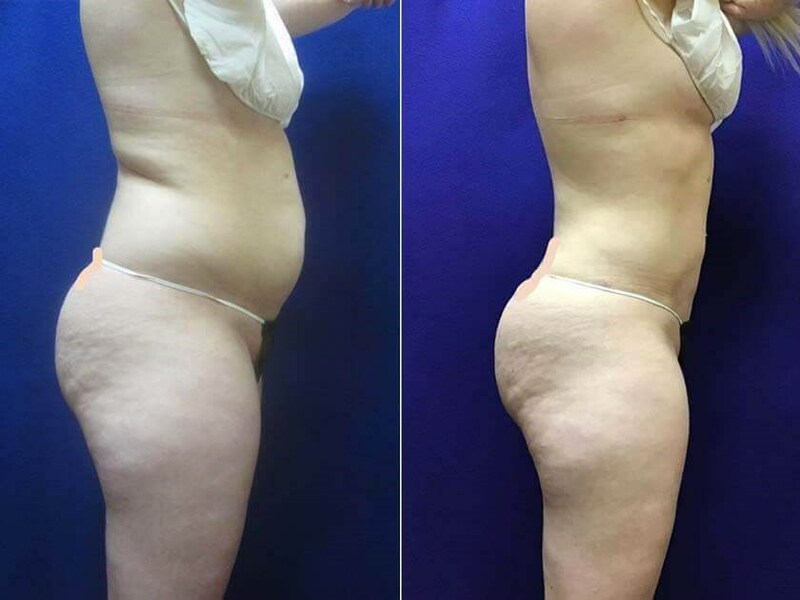 Combining liposuction with other cosmetic procedures such as SmartLipo Laser to melt additional fat and helps with skin tightening is popular. Talk to your doctor about the possibilities of combining more than one procedure at the same time. This may save time, money, and overall recovery downtime later on down the road. How much does a liposuction procedure cost and is financing available? The total cost is dependent upon your treatment areas and the amount of liposuction that needs to be performed. The detailed price should be explained during your consultation. You can also use this time to inquire about payment plans and/or financing options. Will I need to have a follow-up appointment? A follow-up appointment is vital in order for the surgeon to assess your recovery and to make sure there are no complications post-surgery. It’s imperative to attend your follow-up appointment even if you’re feeling great so your surgeon can have a look and provide next steps. If you’re still on the fence about a liposuction procedure and whether or not it’s the right choice for you then please give our Seguin, TX office a call. Dr. Carreon will meet with you for an initial consultation and she can determine if liposuction can help you obtain the results you’re looking for. The staff at LCS Medical Spa looks forward to helping you reach your body goals. Contact us today to see why so many patients in the greater central and south Texas areas rely on us to give them the compassion and care they deserve.